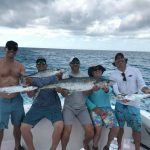 Thre April Islamorada fishing report starts off with a few successful half day charters. There are a lot of fish around. 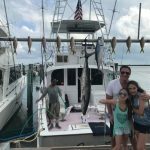 We caught big amberjacks and some very large king mackerel. 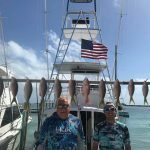 We rounded out our days with nice catches of snapper. 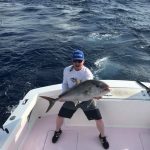 The reef fishing and the Islamorada weather should be really good in April and May. We got into some really nice reef fish today. 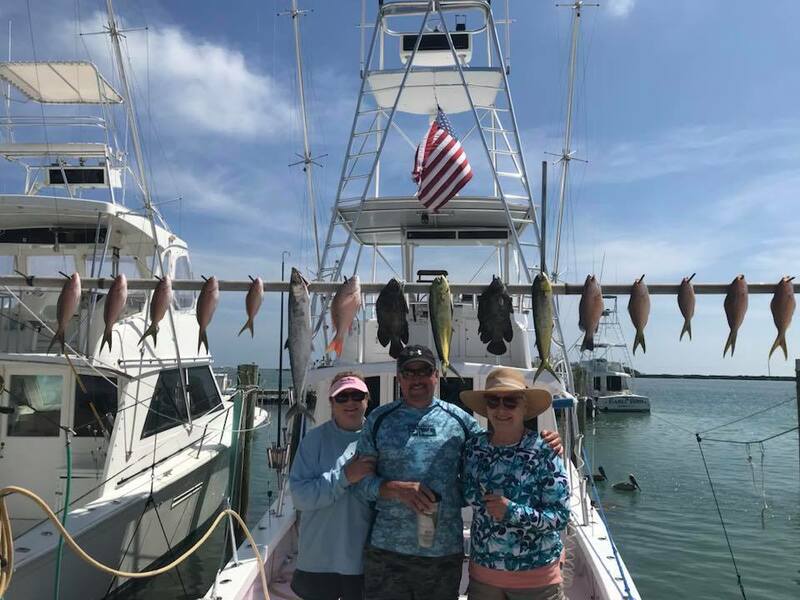 Mark, Lynn and Mom had a great day fishing today. 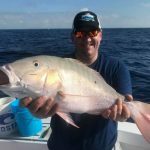 We stayed on the reefs all morning and caught some nice yellowtail snapper, mangrove snapper and mutton snappers. 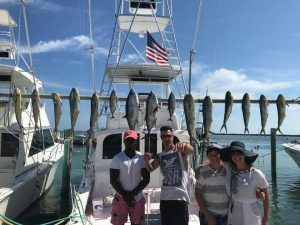 We also reeled in a couple of small king mackerel. 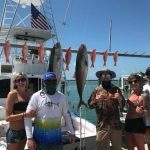 Later in the day we found a patch of weeds and caught a couple keeper dolphin and 2 triple tails. 4-12 Had Eric and a group of friend from Ocean City, Maryland down for a fantastic day of fishing, What a mix of fish we had and a busy day bringing them all in. 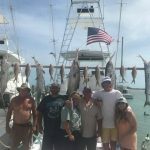 We caught a lot of different spacies : yellowtail snappers,King Mackerel, Cero Mackerel, Trigger fish, Mangrove snappers, Mahi Mahi and finished it off with a 35lb Cobia . 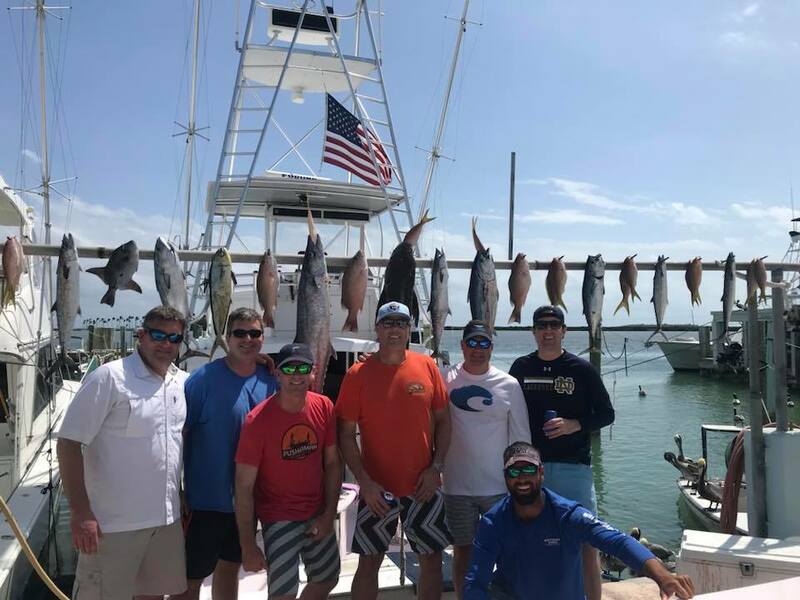 A group from North Florida were out today for a great day on the water. We had a limit of yellowtails and 4 amberjacks. 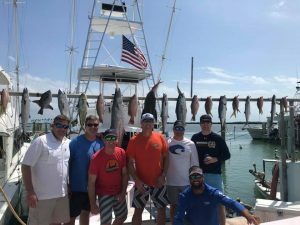 We got offshore for our first time this summer. We found a school of tuna moving through. We trolled feathers and got a few small ones, then Colby rigged some free baits and we picked up some larger fish. 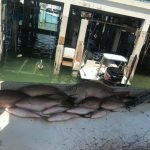 The second fish had a large chunk taken out by a shark. The the mahi mahi showed up. What a great day. 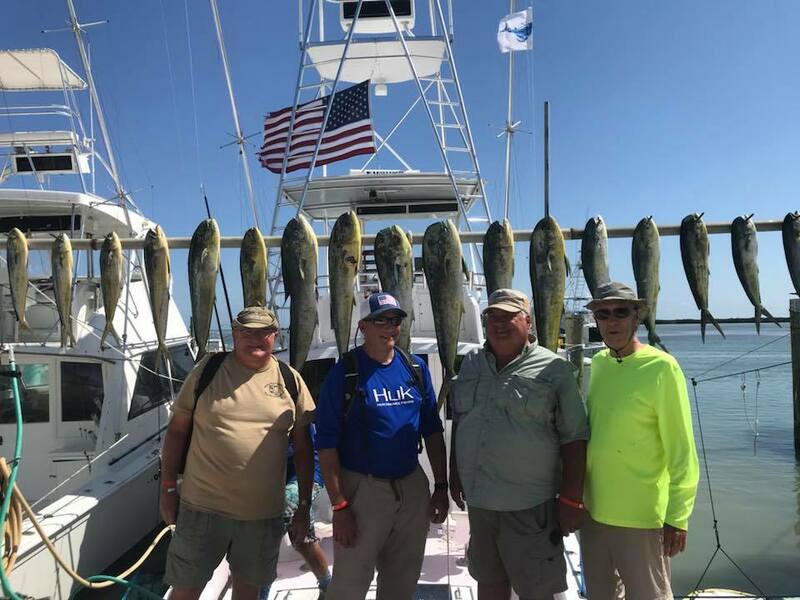 We kept busy with the mahi, catching a few keepers and releasing a lot of smaller ones. Looking forward to the summer season. It should be a lot of fun and very productive. 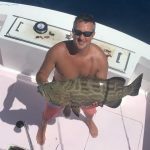 Yesterday we released some nice groupers. It’s a shame that we can’t keep any. but May 1st is rapidly approaching. Conditions down here have been calm and sunny. You should be here. 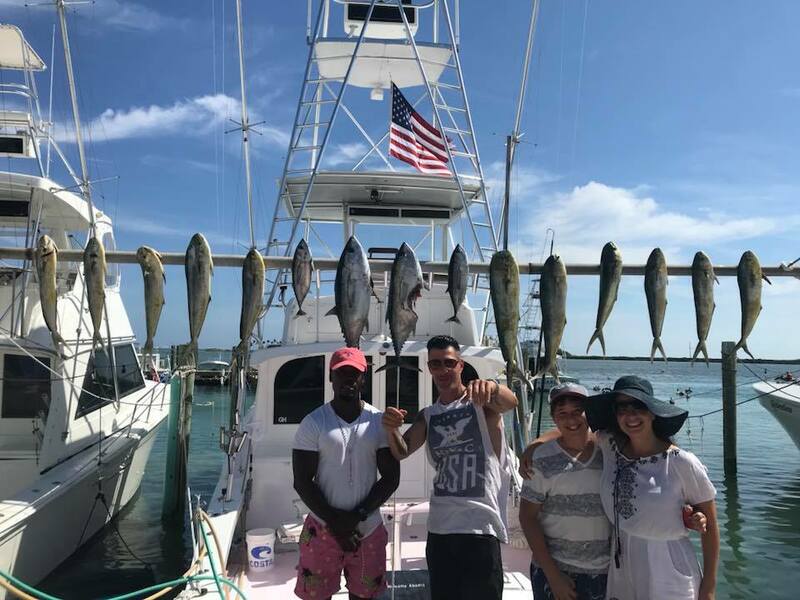 We were offshore today and got a lot of dolphin. There are plenty around right now which makes it look good for the near future. 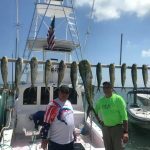 We fished the annual Get The Net Tournament and had a great day. Dennis and his team took the first place prize. Buzzon won the boat award for the most total weight. Dennis said it is his first win in the tournament and he has been fishing it for 22 years. 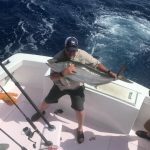 We had a great catch of dolphin and managed to get one sailfish.